While it is true the Prohibition era was dominated by men, the truth is, there were several women, some famous and some infamous, some on the side of the law and some outside the law, that played very prominent roles. This is one of them. 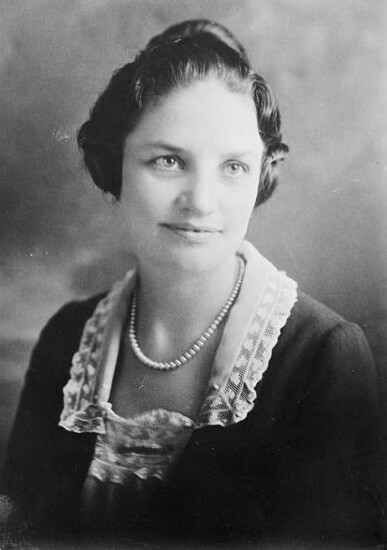 Mabel Walker Willebrandt was officially appointed Attorney General in 1921. As part of her duties, she headed the division in the Justice department dealing with federal taxation, federal prisons and matters relating to the enforcement of the Volstead Act (Prohibition). In her book, The Inside of Prohibition, she described political interference, incompetent public officials and public indifference as causes hampering the enforcement of prohibition. Yet, her determination eventually led to the curtailing of smuggling, resulting in boats being confiscated and hundreds of arrests and convictions. At one time it was quite apparent that no real effort was being made to put an end to such open defiance of our laws. Liquor runners operated off Florida practically in the open, in broad daylight, with little or no interference. There for years the prosecuting office and the prohibition agents engaged equally in the game of evasion of responsibility. Prohibition administrators placed responsibility onUnited States attorneys and their assistants, whom they charged with dereliction of duty and participation in the graft that all too plainly existed in many quarters. On the other hand, prosecuting officers attempted to place responsibility upon the agents and prohibition directors whose eyes were closed apparently to open violations of prohibition. Both of the principal law-enforcing agencies had what might be termed a “perfectly grand alibi” for conditions that were a national scandal. Such cases as reached the courts were handled by corrupt or evasive agents or “soft-pedaled” by theUnited Statesattorneys’ offices. That territory furnished, therefore, an ideal place for smuggling ships to hover. On September 15, 1925, I had recommended a complete reorganization of the United States attorney’s office inFlorida. Not until April 25, 1929, was that reorganization made effective. Then the United States Attorney left and men from my office in the Department of Justice took charge and began disposing of an immense docket with an accumulation of eight hundred cases in Miami alone. It requires hard work and an unloosening of political strangulation to bring about real improvement. My own conviction was-and still is-that prohibition can and will be enforced whenever and wherever there is the will and determination to enforce it, plus the full and proper use of legal authority, manpower and available equipment. Accordingly, early in my term of office, a conference was arranged between the heads of the Prohibition Unit, the Coast Guard, the Customs Service, and those in the Justice Department who were responsible for prohibition prosecutions. Its purpose was to work out a method to stop smuggling. The hope that Rum Row could be swept out of existence was changed to absolute conviction by personal contact at that conference with the officers of the Coast Guard. The orders were given. Even Congress was aroused. In a few weeks’ time, an additional eleven million dollars was appropriated for boats and equipment. Now that monies had been appropriated, the Coast Guard lost no time in expanding its fleet. Two hundred and three 75-foot patrol boats, called ‘six-bitters’ by the Guard, became the mainstay of the liquor war on water. Intended for off shore work, they were to picket the rumrunners beyond the 12-mile limit and keep the smaller contact vessels from loading their holds with the illicit drink. Willebrandt became a huge influence in curtailing the importation of illegal booze into the US via rum runners, and solidified her place of prominence in American history. Click here to order a copy of Run the Rum In, which describes more about South Florida during the Prohibition era. Next time we’ll talk about Elizebeth Friedman, a cryptologist, who worked for the Coast Guard and who played a vital role in breaking radio codes of the run runners. This entry was posted in Fascinating Women of the Prohibition Era, Prohibition. Bookmark the permalink. She left office and went to work for juice/wine hypocrite. She also was a horrible racist, anti-semite and anti-catholic. Why lionize such a hypocrite? Thank you for your comment. My goal in writing about the South Florida area was to include those who played a significant role during the Prohibition era. As assistant attorney general in charge of enforcing Prohibition, Willebrandt did just that. While she may have been all those things you described, it was never my intention to include a complete biography. She actually converted to Catholicism later in life!